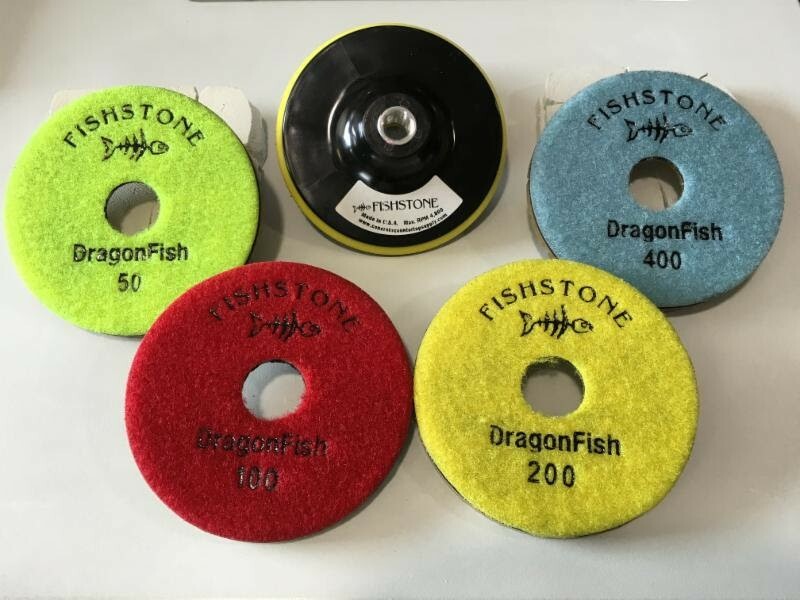 "DragonFish" Heavy Duty Concrete Polishing Pad. 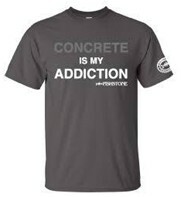 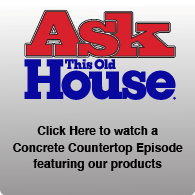 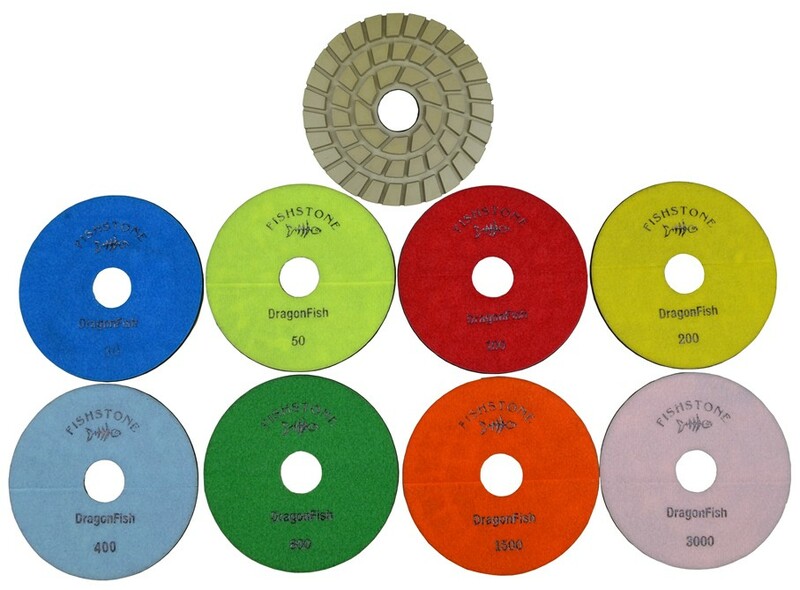 The #1 selling concrete grinding/polishing pad! 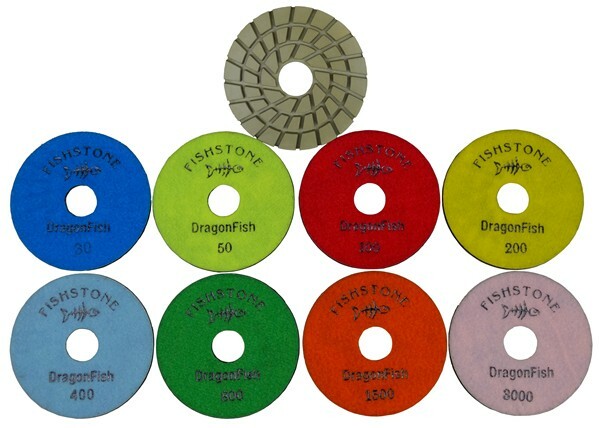 If your looking for a thick heavy duty pad look no further. 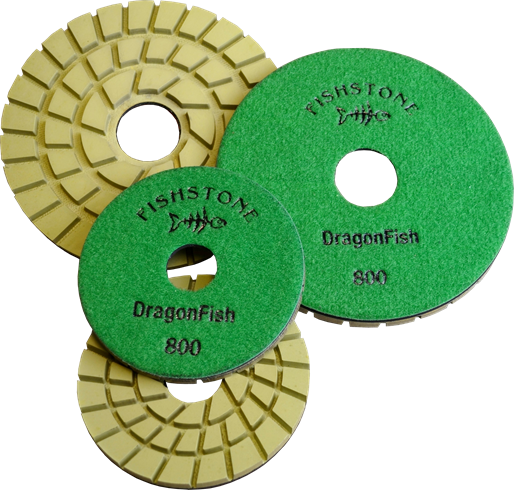 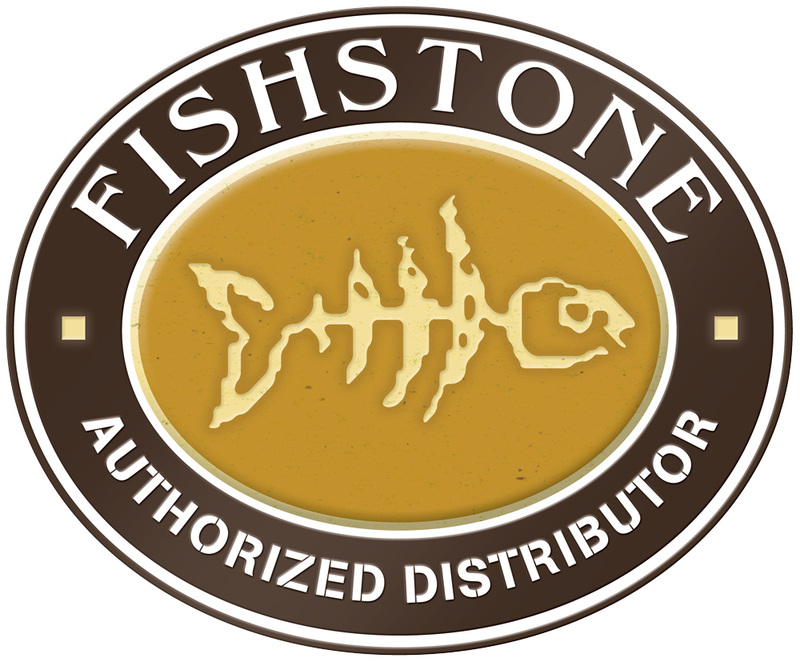 The DragonFish are a full 8mm in thickness and developed specifically for concrete surfaces and can be used wet or Dry.